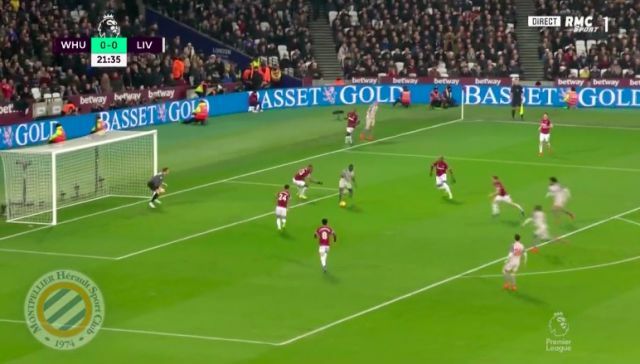 Liverpool’s opening goal against West Ham tonight was full of class. Adam Lallana showed his superb technical ability on the right flank and popped the ball through to James Milner, who in fairness, was a mile offside. Our captain for the evening, who was’t flagged, found Sadio Mane in the penalty area, who slotted home with his left foot to make it three in three. Overall this term, Mane has 11 goals in the top flight, meaning the only players with more than him in the PL are Mo Salah, Pierre-Emerick Aubameyang, Harry Kane and Eden Hazard.